This smile comes courtesy of reader Kohei Nirengi. Kohei lives in Japan. 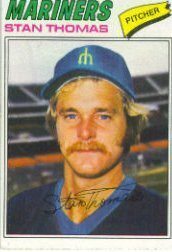 His return address didn’t escape the notice of former Mariners pitcher Stan Thomas. Kohei laughed, by the way. Coming Tuesday: Worst inscription ever?